We know that the workforce is changing, and with them employee demands. 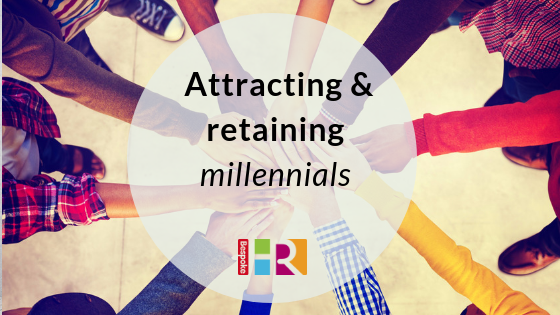 Whilst the next generation of workers – classed as ‘millennials’ – are sometimes described as ‘job hoppers’ they offer fresh enthusiasm and can bring energy to your business. So, what do you need to do to attract them, and more importantly, make sure they stay? As a small to medium sized business owner, you are in the perfect position to offer millennials experience which they may not find in larger corporates. Working within your business means that they can gain experience across multiple departments or disciplines. Be clear to state this when advertising and interviewing, highlighting that employees can gain get a 360-degree view of your business. Map out the development opportunities for each role, and make sure you put performance management plans in place. It’s not just mums returning to work who are demanding more flexible working options. Millennials too are increasingly frustrated by the constraints of the traditional 9-5 and businesses offering flexible working opportunities are perceived as forward thinking, appealing and modern. To make the right impression your brand needs to be selling your business to potential employees. Alongside your job ad, recruits are going to look at your website and your social media feeds. One post from two years ago on Twitter doesn’t create the right impression. Think about the message you want to get across and how you want your business to be perceived. This doesn’t have to be financial, but a company offering generous perks is going to stay ahead of the rest. Cycle to work schemes, early finish Fridays, free fruit in the office, summer and Christmas parties can all incentivise employees and make them feel yours is a business they want to stay at. Read our guide on setting up a flexible benefits scheme. A bad or no onboarding process can spell doom from the start. In many of the exit interviews we conduct, employees cite poor onboarding as a major factor in their unhappiness and decision to leave the role. A good experience from day 1 is more likely to keep your employee motivated and enthused. Get in touch if you would like HR advice or read our guidance on how get the onboarding process right.